Successful Resource Acquisition-Induced-Resource Allocation Failures: A Case Study of Symbolic Management on "Biomass Nippon Strategy"
Drawing on management literature, this paper examines the shortcomings of contemporary budget allocation procedures in the Japanese government. In order to improve efficiency in utilizing the national budget, the Japanese government has promoted priority-driven budgeting. However, such efforts have often end in failure because the government tends to allocate funds to projects with purposes only loosely connected to prioritized policies. The mass media have called such projects “binjo yosan” (bandwagon projects) and have criticized these uses of the national budget. This paper asks why and how such bandwagon projects emerge. Previous studies of public administration and political science cannot offer sufficient explanations, as they address national budgeting, not budgeting based on specific policies, and bureaucrats’ motivation for acquiring budgetary finances. 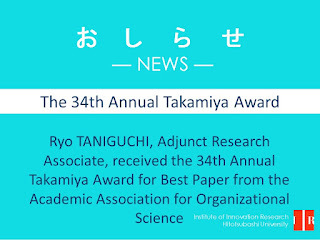 Launching instead from management literature, such as resource allocation and resource acquisition research, this paper constructs a few theoretical propositions and applies those to the case of “Biomass Nippon Strategy.” The results show that, since priority-driven budgeting defines which policy area budgets will be cut, a prioritized policy attracts projects that actually belong to non-prioritized areas, leading to the emergence of “bandwagon projects.” These findings indicate that a strategy of selection and concentration runs the risk of further dispersion of resources. How do host country institutions affect strategic choice and institutional responses by subsidiaries in multinational corporations (MNCs)? This paper addresses the above question through a comparative study of three subsidiaries within Tomra, a Norwegian recycling machinery firm. 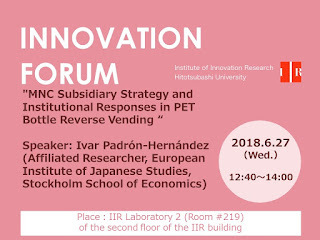 Specifically, I contrast regulative, cognitive and normative institutions surrounding deposit versus non-deposit reverse vending of PET ｂottles in the United States, Japan and Germany. Findings show how subsidiaries interacted with local institutions as they formed local strategies and institutional responses. 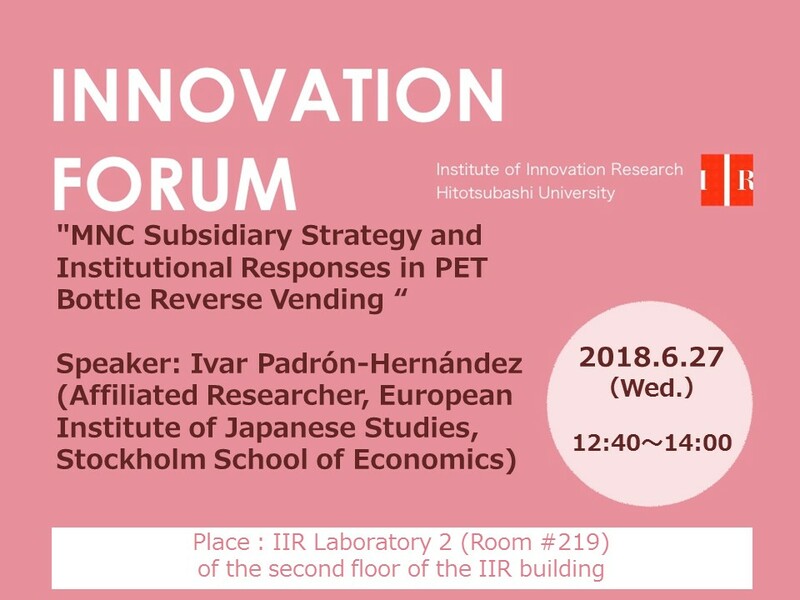 While the strategic choice between deposit and non-deposit solutions was related to the overall degree of institutional friction, subsidiary responses to institutions were not. Instead, responses followed a hierarchy in which conflicting norms, cognitions and regulations were targeted in that order. Emphasizing the role of MNC subsidiaries and local institutions in forming viable strategies, issue-specificity of institutions and pillar hierarchy of institutional change in mature fields, this paper contributes to the global strategy literature and institutional theory. Science of "Work and Life Shift"
"Work Style Diversification and Changing Nature of Psychological Contracts"
"Firm Performance and the Promotion of Women’s Participation and Advancement: Evidence from Japanese Firm Panel Data"
"Sexual-division-of-labor and Women’s Promotional Motivation"
"Managerial Behaviors Depended on Subordinate Gender Differences"
"Antecedents of Overtime Work and Job Stress"
"Does Team-based Health Promotion Practice Increase Employee's Well-being? 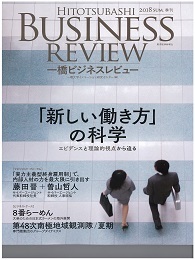 : Exploring Next Stage of Health and Productivity Management through Focusing Population Approach"
"Labor and Social Studies of Japanese News Site"
"Hachiban Ramen: Overseas Expansion of Japanese Ramen for the Masses"
"The 48th Japanese Antarctic Research Expedition / The Summer Period: Group Dynamics in Professionals"
An important characteristic of media firms is the element of content embodied into their products and services. Media content is an amalgamation with ideas, art and culture at the core and manifested as the firm’s product or service. This article studies the creation of media products from an innovation management perspective and demonstrates how their development traditionally followed a strategy of open innovation. The concept of open innovation suggests reliance on a network of external sources to realise and expedite the process of innovation within firms. Prior work in the field has drawn attention to nuances of open innovation focusing on external elements like nature of participants, relationships, motivation and firm-specific determinants such as processes and capabilities. However, in both, innovation or media management literature on open innovation in the context of media products or services and their development is rudimentary. In this article, we demonstrate how media firms have treaded the open innovation path by virtue of collaboration and co-operation with multiple participants across, and outside, the firm’s funnel of innovation. 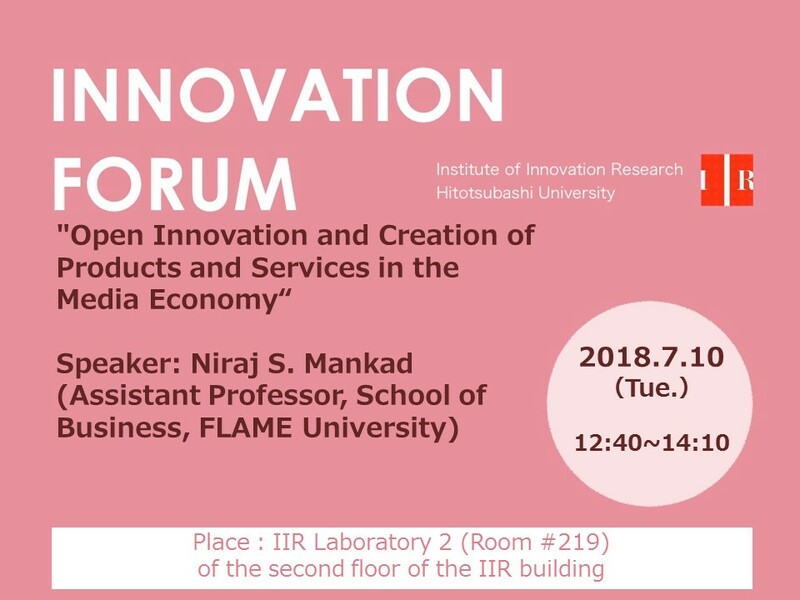 We further, examine and contrast the open innovation process between media and non-media firms seeking to arrive at learning that find applicability across other industries.